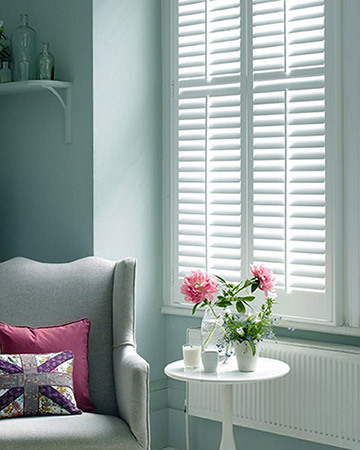 Blinds UK offers the LOWEST price solid wood shutters in the UK and the FASTEST UK DELIVERY as well. Imagine all competitors deliver in two months we deliver free within four weeks. 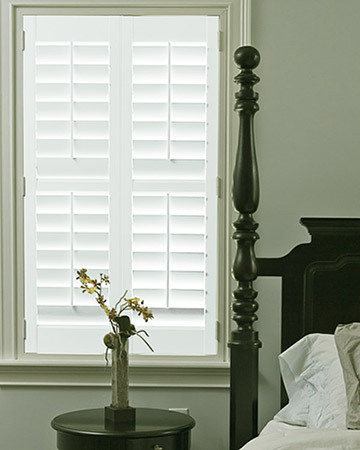 Great savings on top quality real wood plantation shutters for your window that cannot be matched online. Should you find a cheaper price online please contact us ASAP for a refund. 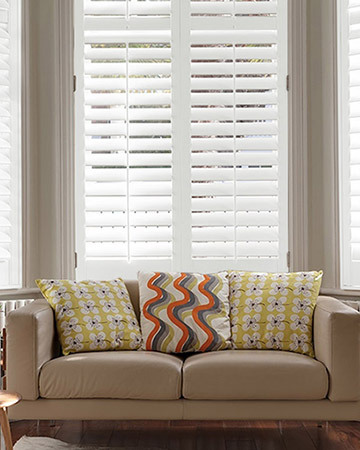 People think that plantation shutters are expensive window coverings but the truth is that these products are expected to last for 20 years and other types of window coverings for about 5 years. If we do the math window shutters are cheaper especially if you have the DIY skills to measure and install yourself and buy direct online. And remember you are always welcome to ask for a refund if you find online cheaper wooden shutters for sale. Our made to measure shutters are of high quality and made from real basswood, from European sustainable sources where tough environment laws apply. Most of our wood suppliers are FSC certified. We do not call ecowood a plastic (PVC) shutter. It is very important to make the difference between real wood and PVC. We have on SALE made to measure real wood and as affordable as PVC. Why not opt for the natural beauty of wood? We offer 5 YEARS GUARANTEE as standard on all our custom-made wood shutters for peace of mind. All louvres and wood panels are manufactured to the highest standard to provide a great finish to both painted and stained parts. We do not use cheap paints and we will coat the surface a few times for greater resistance. Samples of louvres are FREE and sent next day. Before ordering you also can contact us if you have any technical questions. DELIVERY in THREE WEEKS. Yes, we do not charge £ 150 extra per square meter to have your shutters delivered in just three weeks and that represents a HUGE SAVING available only at BLINDS UK. The shutter blinds have many benefits like blocking efficiently the sunlight (not blackout), soundproof capabilities, home security, increased privacy, a great solution for bay windows including round bay windows also look great in conservatories.